…to be rather upset and shocked when praying in Jesus’ very proximate presence. I had just finished going to Confession when I decided to spend some time before Jesus to do my penance. I was not at my own parish. And this particular parish I was at, like some others, has their tabernacle containing the Eucharist in its own chapel separate from the main sanctuary. I entered the chapel, and no one else was inside. Not gonna lie, after praying silently for a bit, I was actually having a genuine moment (ie. 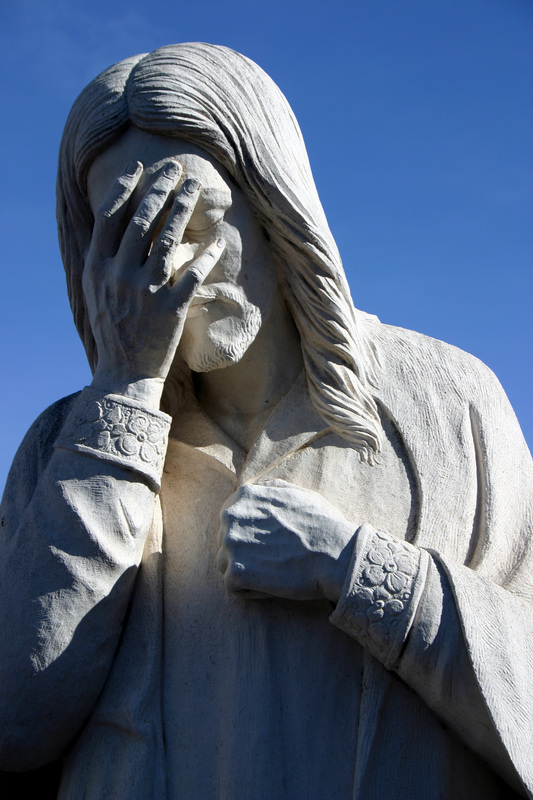 nearly weeping (but that’s okay since Jesus wept … John 11:35)). …the voices came into the chapel. It was a group of about 5 or 6 people. They walked in and didn’t really acknowledge me kneeling there and praying. No one in the group genuflected (or maybe they did when they entered the chapel and I didn’t see them) or gave a solemn bow before the tabernacle containing Jesus. The head of the group, who appeared to be teaching the others about logistical Mass preparation things, nonchalantly walked up to the tabernacle and unlocked it. Then she removed the ciborium containing the Eucharist (ie Jesus) and kind of let it bounce in her hands to let the others see how heavy it is. Then she passed it around to the others to let them feel how heavy it is. Someone had asked how many hosts could it hold, and the leader said that it can hold up to 600ish. That’s a lot of Jesus. She also stated that the inside of the ciborium has numbered markers that help estimate how many consecrated hosts are within it. And oh my gosh! She started spinning the ciborium around in her hands just to be able to show those markers to everyone. Throughout all this I was just…shocked! Not that it necessarily weirded me out that they’re having a teaching moment …but…just the lack of reverence for Jesus truly present in the Eucharist. I could just tell from their body language and actions that this was just no big deal. They didn’t act as if the God of Creation was in their midst and acted accordingly with reverence owed to Him. Now, I was a little frustrated that my quiet prayer time was unintentionally, rudely interrupted. But again, I was more in shock about their lack of reverence in the presence of Jesus. But I’m not judging them because I’m not sure how they have been formed in their Catholic faith. Not every Catholic fully appreciates the Eucharist. So as a practicing Catholic who cares and has a humble understanding of the Eucharist, I cannot affirm that the Eucharist is truly Jesus present body, blood, soul, and divinity unless I truly believe it and act accordingly. That’s where I’m at in my faith, and I simply seek to go deeper in that regard. Equally as shocking is how God, who humbled Himself to be in the appearance of bread, puts up with us whenever we act irreverent, sinful, stupid, foolish, etc. How great is our God, indeed. I was recounting this experience in the chapel with a friend, and we both agree that it is doubly shocking how Catholics can be so ho-hum with the Eucharist and how shocking it is that God in His infinite mercy deals with us. Lastly, I begin to wonder what the rubrics are on who exactly is allowed to access the tabernacle containing the Eucharist. Honestly, not just anyone can walk up to the tabernacle unless they’ve been properly formed and educated to properly handle the Eucharist. This requires further seeking of truth, on my part. 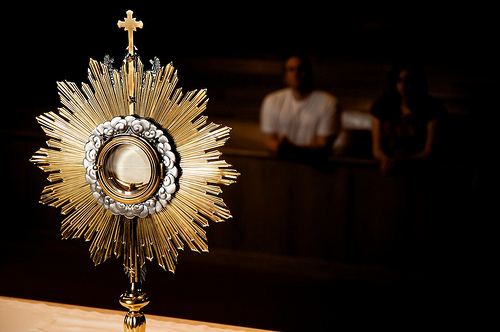 How can I inspire my fellow Catholics to better understand, know, and appreciate the Eucharist?